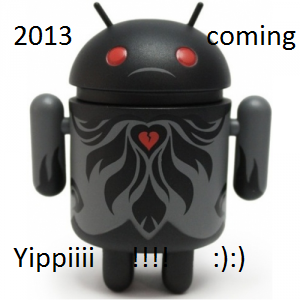 The year 2013 will be predictably with problems for Android OS as the Malware for this OS is expected to increase in 2013. There are already so many issues related to malware in android and according to ESET it is said to increase in the coming year. This time ESET researchers focused on malware for Android OS, as the market share of Android mobile phones have grown significantly.During the first quarter of 2012, according to IDC statistics, the Google OS saw a year-over-year rise of 145 percent in market share. Furthermore, Juniper in its whitepaper “Banking Anytime Anywhere.” predicts that next year, the number of users accessing banking services from their smartphones will rise to 530 million people. According to the same study, in 2011 there were only 300 million individuals, who accessed banks from their phones. ESET points out to another trend – spread of malware via removable storage devices is dipping globally in favour of the use of an intermediary in order to attract new victims. Simply speaking, instead of compromising system through infected flash drives and other removable media, bad guys compromise web servers to host malware and then sending out the hyperlinks leading the users to the malware. Although throughout 2012 all detections related to INF/Autorun malware family, variety of malware using the file autorun.inf on Windows computers as a way of compromising a PC, have been steadily decreasing in India, this threat continues dominating. That means USB flash drives are still an effective way of compromising computers. One of the reasons, according to ESET researchers, is that Indian users are still prone to using pirated software including OS itself along with pirated security software if at all the latter is installed on the system. Moreover, a very basic security practice as scanning removable media with security software is ignored by majority of Indian computer users. So guys be up to date with your antivirus and keep in touch with the new malwares coming in 2013, you may be one victim of that..Be prepared to avoid any inconvenience.